In exploring whether or not wild animal animals should be kept in captivity, the question it essentially comes down to, in relation to how it affects society, is: Should we have zoos? Those in favor argue that zoos are good, serving both the people and the animals. While opponents do not accept that zoos actually have the animals’ best interests in mind or at the forefront of their operations, one of the best arguments that proponents of captivity make is that zoos are essential for the conservation of many species. Black-Footed ferret being released. Image from Google. 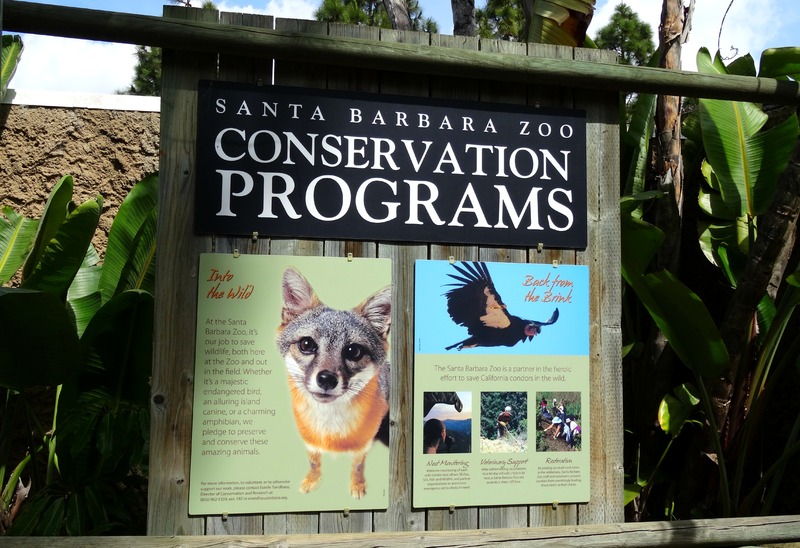 Additionally, many zoos stress the importance of their reintroduction programs for endangered species, which they claim to be widely effective in aiding in conservation. Several zoos, including the afore mentioned Saint Louis Zoo, are involved in the Association of Zoos and Aquariums’ Species Survival Plan, which currently has 113 programs underway working to protect 181 different species and over the past decades has already saved species such as the Red Fox and the Black-Footed Ferret from extinction. The Saint Louis Zoo has praised the way in which zoos “collaborate with one another” as well other organizations in these programs for the common goal of species conservation. Though captive breeding and reintroduction is very expensive and not always successful, a few noteworthy examples of captive populations that have been successfully reintroduced include the Scimitar-Horned Oryx, the Californian Condor, and The Golden Lion Tamarin, all off which zoos were a major part of. Proponents also make the claim that through the role they play in education, zoos promote conservation. Zoos, along with allowing conversationalists to learn about wild animals, thus helping them to better “manage and conserve them in the wild”, give visitors a chance to experience wild animals up close and personal. The Director of Conservation and Science for the AZA has stated, “I see the conservation education efforts of zoos and aquariums becoming more essential in the future as the trends toward urbanization increase [and interactions with wildlife decrease].” Similarly addressing this point, Borrell asserts, “It’s difficult to engage people with conservation efforts taking place half a world away,” which is where zoos provide a solution, one that proponents claim wildlife documentaries would not be able to achieve. As the Saint Louis Zoo explains, “People make an emotional connection with animals at zoos that can last a lifetime,” so subsequently “they are spurred on to learn more and act differently.” Zoos like this one get millions of visitors each year and allowing people to experience animals firsthand, proponents claim, inherently aids in conservation. Ultimately this argument that zoos foster conservation is effective because it focuses not on the ways in which zoos serve humans, but rather how they benefit the animals. The conservation efforts of zoos can have a measurable impact on the global ecosystem, especially in the midst of climate change, urbanization, and habitat destruction. This perspective encompasses the idea that even if zoos are not ideal, they may be necessary to conserve endangered animals. < Previous Should Wild Animals Be Kept in Captivity? You show very clear understanding of how zoos are beneficial to both people and the animals they contain. I did not know that zoos participate in reintroduction techniques! I think it is a great program. Overall, this post is very informative and convincing.